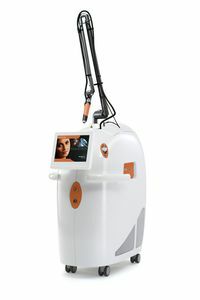 Benign pigmented lesions such as lentigo simplex, lentigo senilis (age and sun spots) and many other types of naevi may be treated with laser devices in various ways. Q-Switched lasers emit short light pulses in the nanosecond range, which, thanks to their specific wavelength, are selectively absorbed by the skin pigment melanin. 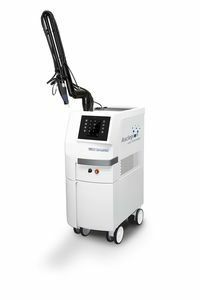 The laser treatment itself is uncomplicated and is conducted on an out-patient basis, with or without a local anesthetic. Such lesions can also be treated using the fractional technique. 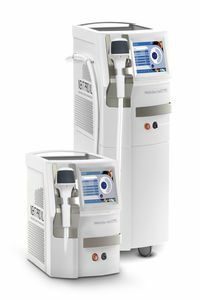 The fractional laser therapy with a Q-Switched laser is unique and allows the treatment of large areas, especially on the face, providing maximum safety and comfort for the patient and minimizing side effects. The fractional laser therapy allows the selective treatment of only “fractions” of the tissue in the form of a grid. This is made possible by splitting the laser beam into several hundred partial rays. This triggers skin renewal and collagen formation with rapid wound healing, which is supported by the untreated skin and therefore involves a very low risk of side effects.